The title of this series reveals my view of the Emergent Church Movement (ECM) as being the same old, tired doubt and denigration of God’s Word that has been occurring in our world ever since the garden of Eden when the Serpent first said, “Yea, hath God said . . .?” but has returned in our day with new vigor and ambition. The Gnostics proposed the same question. Various esoteric societies revealed in the world for these many centuries have asked the same question. Religious Institutions that have sought to usurp the authority of God’s Word with their own dogma and traditions have aggressively asked this same question (Like the Roman Catholic religion which we touched on in part One). The liberal so-called Higher Critics and Bible scholars of the 19th and 20th centuries (we took a brief look at these in part One) have raised this same question. And now we have the same question regurgitated by these Emergent Church advocates and leaders. ~*Their suppositions and assertions presume that the Holy Scriptures are somewhat in doubt as to which are authentic and which are not. Even the authentic portions are only revelations given to those writers of “the story” as they understood it, but that this story is evolving in deeper and greater revelations now all the time by dialogue and communing (and meditating in mystical practices)* not just with Christians with other views, but with all the world’s religions and their divergent views – is a stock Emergent doctrine: that together they are discovering ‘new’ truths never before revealed. * An interesting point of fact is that the Sufi Muslims, the transcendentalists of the religion of Islam likewise believe that by contemplative meditation of their own variety, they too receive greater and deeper revelation in the Quran. Hindus routinely receive revelation from their pantheon of gods through meditative practices as do shamans and Wiccans in various nature worship religions. I believe that mysticism will be the global glue that will bind the religions of the world together synergistically as the global religion that worships the Beast. For more on this read Ray Yungen’s book A Time of Departing or read The RED PILL Consortium article entitled “Global Glue”. Here is a 10 min, 19 sec clip from the film presentation WIDE IS THE GATE that amply demonstrates this heresy and apostate practice. For the full length version, please go here - 1:01:54 running time; (preliminary discussion between Caryl Matrisciana and Noah Hutchings of SWBM continues until about 24 mins into the broadcast where the actual film begins). Getting back to new revelations and new truths, I suppose that this is why the ECM is finding a worthy ally in the New Apostolic Reformation (NAR) which itself believes ‘by the Spirit’ greater revelations are being brought to the church via the new apostles of this movement. Both movements believe that it’s their objective to proliferate their ‘new’ paradigm across the globe for a “new kind of Christianity” which employs “a generous orthodoxy”. The OPEN MARRIAGE of the Emergent Movement and the New Apostolic Reformation. Are all Emergent churches, or those that are in ‘dialogue’ with such churches bad? Are there some that have at least some good things to be gleaned from them? Should we “throw out the baby with the bathwater” as is the common expression? Do we really need to separate ourselves from such a movement as this at the risk of being seen as divisive, judgmental and unloving? Do we have to have such a strict adherence to the Scriptures with no leeway or entertaining alternate and new interpretations at all? Can’t we borrow from the world, its philosophies and other religions that which would prove useful for the church as the Emergent Movement suggests and practices itself? There are some valid observations and concerns from some within the ECM ranks regarding the contemporary church and its problems and deficiencies, that much is true (We will see this in the upcoming articles). However, their solutions to these properly identified problems and deficiencies are not good ones, but in fact are worse than the problems themselves! I liken this to a doctor who has rightly diagnosed a case of lung cancer, but then went on to prescribe a case of cigarettes every twenty four hours! If we look in the pages of Scripture, can we find even one instance in which there was ever a compromise made where the Word of God was concerned? Did any of the prophets or apostles, ever once after declaring the revelation of God’s Word turn aside after pressure from others, and compromise what was revealed? If there is even one example, I’d like to know about it, because I’ve read the Bible for well over thirty years and have never found one single incident of such. One’s hermeneutic (how to interpret the Bible) view of the Scriptures themselves will determine one’s beliefs. If we interpret the Bible in a historic/grammatical-propositional and objective sense, as the inspired, inerrant, infallible and veritable Word of God – we will take it as it is, literally; with the understanding of course that the Bible quite often uses various linguistic forms of expression and figures of speech such as allegories, analogies, metaphors, puns, symbolism, and types as well as prophetic visions and revelations in the Scriptures which convey literal truth. Generally however, the Bible needs very little interpretation but can be read straightforward and can be readily understood by anyone born of God’s Spirit or at the least, guided by God’s Spirit (Who alone can bring the understanding of the Gospel to the unbeliever). Where interpretation is necessary, it must be done within the context of the entire revelation of God’s Word (in other words, we let the Bible interpret the Bible – though this is a work comprised of 66 different books, written by more than 40 writers, it’s actually a singular Book whose Author is God Himself, and we can readily use the Light of God’s revealed truth in one book to shed light upon another book [using the book of Hebrews for example to interpret Leviticus; or the book of Daniel to interpret Revelation, etc.]). Such is an extremely subjective method of interpretation and one can therefore make the Bible mean whatever one wishes) rather than a literal meaning (with spiritual truths revealed by them). Those with a literal view of Scripture believe that this is a work you don’t tamper with, or express an alternate meaning other than what was intended within the full counsel of God’s Word. One never takes ‘literary license’ with the Word of the LORD! 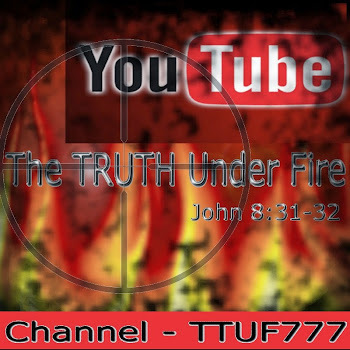 One cannot and does not compromise anything of the Truth as represented in the Scriptures! Yet as we can readily observe, those with a liberal view of the Word have no problem in assigning alternate meanings and, or ‘new truths’ to the Scriptures and its due to this propensity that the ECM has found welcome in the ranks of Christendom; this illegitimate hermeneutic will become obvious as we examine the articles produced by these Emergent folks. Also we must not be passive about the ECM or any other “false way” but actively confront (not with aggression, but with grace and truth) and faithfully contend it. I’ve read this passage countless numbers of times before, but it wasn’t until relatively recently that I obtained a fuller appreciation for vs. 5. This is one of the key passages that talk about the apostasy (“shall depart from the faith” 1 Tim. 4:1) which is happening in our day – “the last days”. In verse five it states that these who apostatize will still retain a form of godliness, but that they will also deny the power thereof. We understand that the only One who can impart godliness is the Holy Spirit. In this verse we know that these have a false form of godliness, or not genuine godliness – we know this because they “deny the power thereof”. I used to look at this phrase in a somewhat abstract sense, but lately I’ve come to understand that this is the veritably vicious spirit of anti-Christ. Just as the anti-Christ will have a ‘form’ of the genuine Jesus Christ but in reality deny Him, so too the false church (The “Whore of Babylon”) that will worship him will likewise be of the same form and function (that is, possessing the spirit of anti-Christ). I believe this ECM is the formative seed that is rapidly growing into what the Scriptures portray in Revelation 17 and 18. It’s interesting to point out that those in the ECM are most fond of learning, ever and always learning more and more spiritual things, but never daring to claim to know the truth, the whole truth as revealed in Scripture (they assume all ‘spiritual things’ are true and valid). They despise and see any who claim such certainty in their possession of the truth as lacking humility and arrogant, though Scripture readily testifies that such is not only possible, but inevitable as one is born of God’s Spirit (John 14:17; 1 Tim. 2:4; 1 Jn. 2:21). They are not above making blasphemous statements either, but see such as merely expressions of new truth or new insight. Take for example Brian McLaren’s belief that the person of Jesus could be elevated as high as a Martin Luther King or Gandhi (Watch this youtube clip for this unbelievable statement made by this ECM leader, beginning about 4:50 min!). In this interview, Leif Erikson (pastor of Wooddale Church) the host of the show makes the statement that “Paul [the apostle] never mentioned the idea” of the Deity of Christ. I suppose he never read 1 Tim 3:16 or if he did, he most likely also read the liberal Bible scholars that state that in the original Greek it doesn’t say “God” but rather “he was manifested in the flesh. . .” yet the vast majority of extant evidences in textual fragments agree that the word used is “Theos” – in the Westcott and Hort text it reads “he”. IS ALL WISDOM TRULY GODLY WISDOM? Before we get into these articles, I would like the reader to prayerfully consider the following passages found in 1 Corinthians, chapters one, two and three. 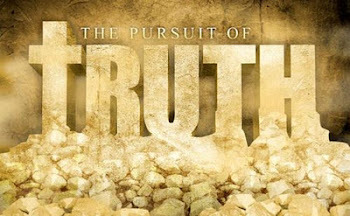 This will provide you with the biblical insight in contrast to the very premise of the ECM – that the wisdom of man in all of his spheres of knowledge – scientific, philosophic, sociological, anthropological, historical, psychological (even mystical) – is a legitimate source for the church and in understanding God and His purpose(s) when in all actuality we are entirely dependent on the wisdom of God ALONE as THE legitimate source! 1 Corinthians 1: 17 For Christ sent me not to baptize, but to preach the gospel: not with wisdom of words, lest the cross of Christ should be made of none effect. 1 Corinthians 2: 1 And I, brethren, when I came to you, came not with excellency of speech or of wisdom, declaring unto you the testimony of God. 1 Corinthians 3: 18 Let no man deceive himself. If any man among you seemeth to be wise in this world, let him become a fool, that he may be wise. In reading these articles one continual thread of reasoning and interaction seems to come through relationally; the predominant emphasis in these writings is ‘horizontal’ in nature rather than ‘vertical’. By this I mean to say that the relationships of these people who are self proclaimed Emergents of the church focus on themselves and their fellow ‘believers’ (of all faiths and religions) and the wisdom of the world that each imparts to the others. Rather, each individual member of the body of Christ and their relationship to God is the appropriate focus and as a result of that supernatural relationship form a basis with those of like relationship and thus impart (by the Spirit) that wisdom that is from God alone (James 3:13-18). This will become evident to you the reader, I am sure, as we examine these articles. Tony Jones, co-editor for the book makes the Introduction: Friendship, Faith and Going Somewhere Together and attempts to define the well nigh un-definable term “Emergent Village” by explaining that it was more than a network, but not a denomination, nor a think tank but he resorts to the word “friendship” and desires to “invest it with theological meaning”. One must ask the question, Why would it be necessary to take the church into any “iteration” when it’s always been most effective when founded solidly upon the Rock, the LORD Jesus Christ? Suffice it to say that any local or the universal (invisible) church is not without a conductor: the Head and LORD of the church is the One that it was founded upon (Matt. 16:18), Jesus Christ. He loves, directs, leads, motivates, empowers, encourages, reproves, rebukes and chastens His body – the corporate church and its individual members as He sees fit. Without Him, the church would be as chaotic and graceless as an orchestra or “a choir” without a conductor – a cacophony of unpleasant and raucous noise, certainly as disharmonious as a body suffering from epilepsy. Yet this seems to Mr. Jones to be a thing of beauty [he later asks the rhetorical question: “What is Emergent Village? A mess. A beautiful, good mess.” akin to his imperfect but productive home garden] “. . . that has a similar trajectory. . .” to what he calls “the Christian Story” or the Bible. Was this story completed upon the last sentence written in Revelation? Or has it continued throughout our history and continues today? And are the ‘continuing chapters’ today as authoritative for doctrine and practices as those chapters between Genesis to Revelation? Emergents would say, yes! The story is evolving and becoming greater and broader and revelations today would be considered even greater than previous ones due to this spiritual evolution. The very notion of contradiction in the Scriptures (and disharmony) would suggest that the Bible only contains the Word of God, but is not itself the very Word of God but rather a mixture of God’s words and human being's words (a sentiment long held by liberal theologians); that some parts are inspired, and others are not – thus creating a disunity and artificial contradictions of liberal origin. Yet just as the LORD Jesus Christ is the Head of the Church, He is also the Word Incarnate that brought to us the Word Inspired that doesn’t contradict itself any more than our LORD did during His earthly ministry. Isaiah 55: 8 For my thoughts are not your thoughts, neither are your ways my ways, saith the LORD. Romans 12: 1 I beseech you therefore, brethren, by the mercies of God, that ye present your bodies a living sacrifice, holy, acceptable unto God, which is your reasonable service. Furthermore can the rationality and conceptual understanding of the mind of human beings discern or “[judge] what is good (and what is bad)” spiritually? What can a missionary, depending on his own rationality and internal way of thinking, apart from the wisdom of God, achieve in discerning what is good or bad in the spiritual domain, which is itself the purview of the church? Much less, a philosopher or a beat poet? Heb. 4: 12 For the word of God is quick, and powerful, and sharper than any two edged sword, piercing even to the dividing asunder of soul and spirit, and of the joints and marrow, and is a discerner of the thoughts and intents of the heart. Heb. 5: 13 For every one that useth milk is unskilful in the word of righteousness: for he is a babe. As for the kingdom of God, how could our own “hopes and dreams” have any bearing on God’s plan of the ages and His “determinate counsel and foreknowledge” (Acts 2:23) for what He will accomplish? We have no need to lean upon such subjective and spurious hopes and dreams when we have the very vision of God (the Holy Scriptures) as our mandate and ‘blueprint’ in which to fulfill HIS will, not ours, in our lives! Doug Pagitt, co-editor of the book begins Part 1: A People of Hope. Emergent – A Generative Friendship of Missional Christians. Doug Pagitt likewise indulges in the idea of friendship and the intimidation that can sometimes be associated with entering into them, and “may be especially true of being friends with Jesus” – he notes that while some are comfortable with Jesus as a Friend relationally, others are not, but are more “comfortable [with] . . . Lord, Savior, Creator”. Certainly we may call ourselves friends of Jesus (as He also referred to us; John 15:15) and also His brethren (which He is not ashamed to call us; John 20:17; Heb. 2:11), but primarily He is indeed our Creator, Lord and Savior and not a ‘buddy’ that we can slap on the back. In many ways however, the ‘Jesus my friend’ motif in Emergent circles tends to diminish His glory and lofty exaltation. He is seldom referred to as “the Way” to the Father, but rather He becomes “the way show-er” or as it’s also said “in the way of Jesus”. This single sentence is pregnant with meaning, but as far as having any promise of genuine life in it, I fear there will be a miscarriage. Why is it that we need others to be transformed, when the Scripture emphatically states that we are transformed (metamorphoo in the Greek; an inward translation performed miraculously by God, bringing expression of in character and conduct) “by the renewing of the mind” (Rom. 12:1-2). God by His Spirit is able to influence such radical, total and complete change in us that can not be accomplished by any other means. All humanity (“others”) can do is work upon our minds, our emotions, our ‘outer man’ in a work of reformation (external, temporal changes that will last at best the length of our lifetime here). 15 Therefore thus saith the LORD concerning the prophets that prophesy in my name, and I sent them not . . .
And what is the criterion to decide which visions (and dreams) are true and which are not? I would submit that Emergent teachers and leaders who express a ‘low view’ of Scripture (Doug Pagitt in a phone interview with Todd Friel on his show Wretched referred to the Scriptures quoted by Friel as “pop phrases”) would have no compunctions whatsoever to express what they believe to be ‘God’s dream’ with little (if any) scriptural support which can be readily evident in the reading of any of their books (this will become evident in these articles). Yet we have already received God’s dream, as it were, or His vision, in the recorded Scripture that tells all His heart for humanity in this given age of mankind. “Friendship . . . means putting aside our own agendas for the passion of another [Like the LORD for example?]. Most friendships are held together by a hope of what can be as much as a history that has been created. But even in the midst of these hope-filled failings, there is a realization that we need to pursue friendship not as an addition to faith but as a necessity of it,” says Doug Pagitt. Did you observe the ‘horizontal’ tendency here at work? What do the Scriptures say is a necessity of faith? Gal. 5: 6 For in Jesus Christ neither circumcision availeth any thing, nor uncircumcision; but faith which worketh by love. Faith comes from hearing (understanding) and we get our spiritual understanding by the Word of God; faith operates by the power of love, denotatively speaking, the love of God. Abraham placed his faith in the word of the LORD and by that act, was considered righteous before the God of Israel (Rom. 4:3). No where in Scripture does it say that friendships in and of themselves are necessary for faith. Certainly we can be blessed by the “mutual faith” of the saints (Rom. 1:12) and be “comforted” or strengthened by it, but we know that the Word of God and the love of God are what is truly necessary. So the Emergent friendship desires “. . . to bring together, not pull apart. To create something new [a new church as opposed to the one that is founded on the Rock, the LORD Jesus Christ? ], not rehash old divisions” [‘there is one Lord, one body” Eph. 4:4-6; 1 Cor. 1:13]. "The following chapters serve as a call into a friendship, are the results of friendship. So read with this invitation to mind, and read with the grace needed by those who seek friendship through faith, hope and love.” ~ Doug Pagitt. Observing the ECM for over a decade now, I am not merely dubious, but cautious and even alarmed to see what this movement is “bring[ing] together”: Rob Bell and Doug Pagitt involved in an Inter-spiritual Compassion Event with the Dalai Lama. . . Above quote taken from wikipedia. We are well on our way in examining the many difficulties, biases and doctrinal errors of the EMC; again – this is not to be hyper-critical or unloving (certainly not an attack on anyone) but simply an evaluation of what is true and what is not. We must be discerning, watchful, prayerful and diligent to keep the Word of Truth and live by it and nothing else as disciples of Jesus Christ our Lord! Here ends part Two of this series. In the next article we begin with chapter One and a Mr. Mark Scandrette’s article from An Emergent Manifesto: Growing Pains – The Messy and Fertile Process of Becoming. Until then saints, KEEP YOUR EYES ON THE SKIES and DON'T BELIEVE THE LIES! JESUS RETURNS SOON, FROM ON HIGH!